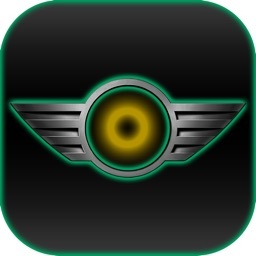 App for BMW Warning Lights & Car Problems by Eario Inc. 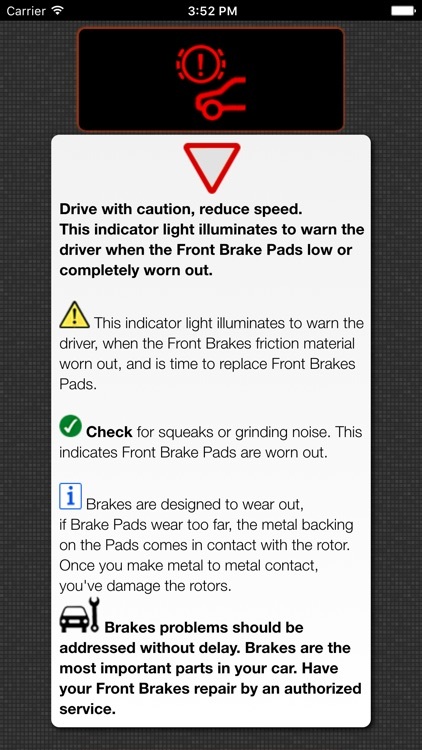 Complete list of BMW Car Warnings Lights and Problems. 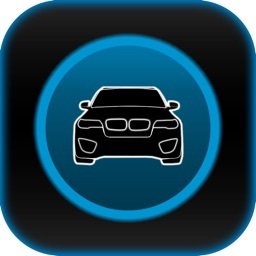 If you drive BMW you should have this app on your iPhone. 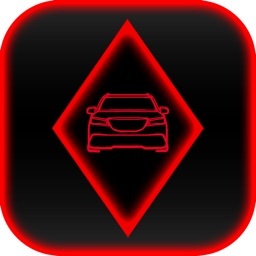 The app contains over 468 warnings and indicators lights, their description and advice on how to deal with almost any issue if warning light illuminate. 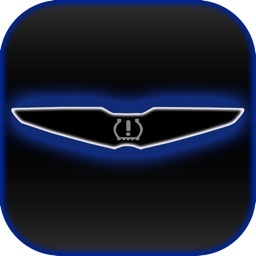 This App helps you identify problem with your car, how serious it is. 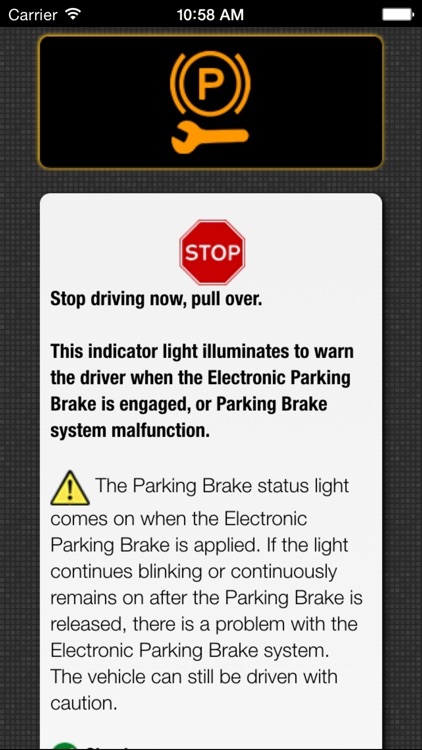 The BMW app indicates whether you can safely continue to drive, or are required to seek immediate assistance. It tells you the most important piece of information a driver needs to know: Can I keep driving my car? 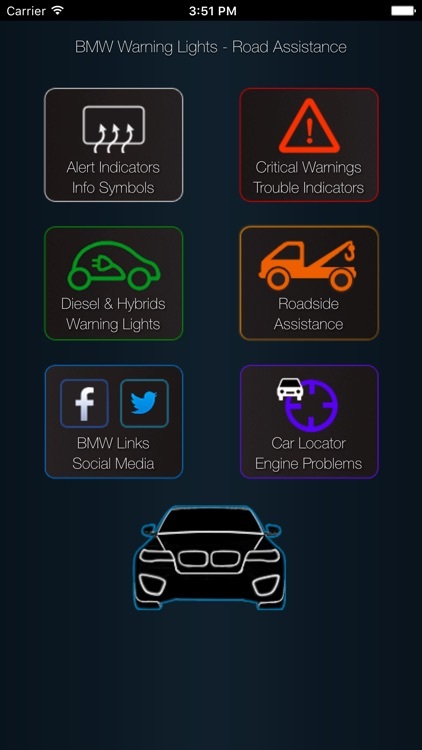 The BMW app advice you to make right decision in emergency situation, keep drivers safe on the road. And helps avoid expensive repair or dangerous roadside situation. 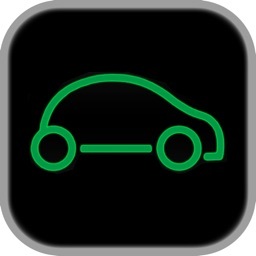 The app contains a brief descriptions of the latest automotive technology, is the perfect companion to drivers as cars become increasingly complicated and technology reliant. 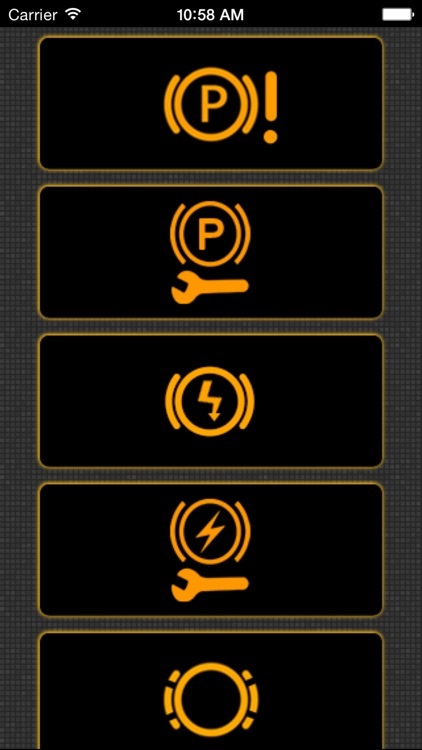 This app helps you to educate-yourself about your car issue, you could be able to handle any problems your car might experience. 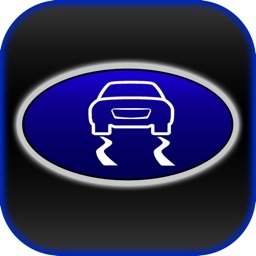 Knowing the basic of your car problems will reduce repair cost. Warnings and indicators lights in your car instrument panel, signal that something is wrong with your vehicle, so that the driver can address the issue before it becomes serious. The app provides an overview of BMW dashboard warning and indicators lights, what they mean and how you should act once illuminate. 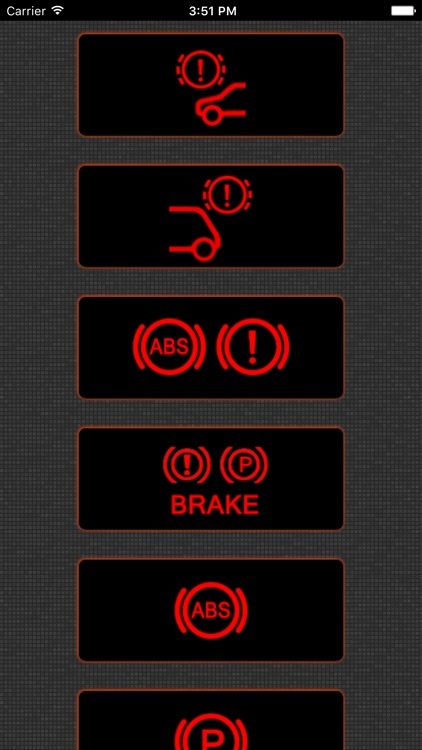 When a warning light appears on your instrument panel, you can quickly access information around what the light represents, what system in your car is malfunctioning, and how to respond without contacting a mechanic.